The cottage is good for couples, solo adventurers, business travellers, families (with children), and dogs. - One well behaved dog is welcome; we have wonderful walking. However please not upstairs or on sofas. - Please respect our little cottage. No food or drink to be taken upstairs. Originally from London,we fell in love with this beautiful and peaceful part of Somerset and bought our house (just up the track from the cottage) seventeen years ago as our weekend place. I now live here full-time and my boys go to school in Bath. A lovely little cottage set in a fantastic rural landscape. The owner was lovely and only down the lane so available if anything was needed. We had two young children and the cottage really worked for our young family. We had a lovely, relaxing & peaceful stay. Great cottage in a lovely location with lovely views. Peaceful and very relaxing. Cottage just lovely. Nick was very kind and recommended a lovely pub for some great food. Our family had a wonderful trip,thank you. This is a very comfortable, well-equipped cottage in a lovely, quiet rural area. There are numerous walks (one right from the property) and the region has a fascinating history clearly evident in the landscape. The owner was very helpful and available throughout our stay despite it being over Christmas. We would love to return - perhaps in the Spring or Summer. What to have a country experience? 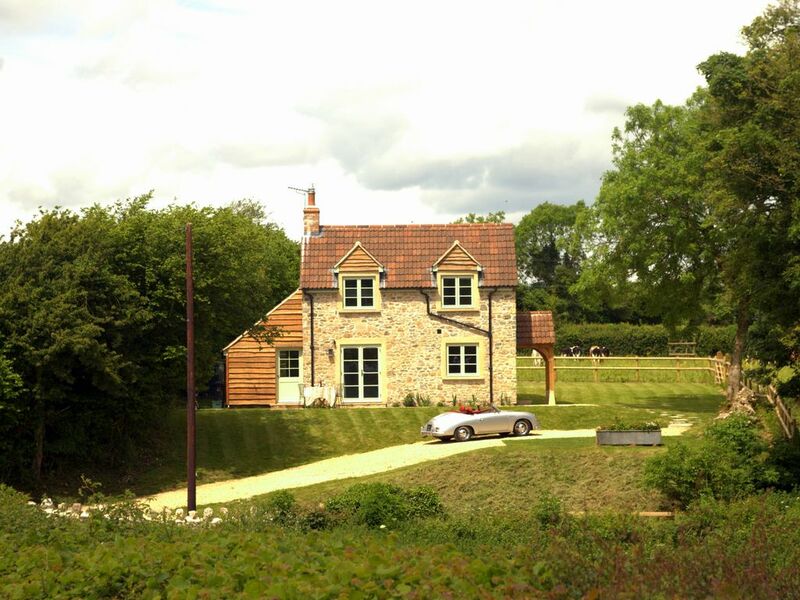 Book this newly built country cottage. Nick, your host, has thought of everything. You will be surrounded with pastures, rolling green hills, stacked stone fences and be able to enjoy alfresco dining just outside your door. We were in the area for business. Perfect and and Molly the dog enjoyed all her walks. Everything about this cottage was perfect for us. The location was beautiful, the cleanliness of the whole cottage was to a very high standard and the utilities were excellent. We will definitely be staying here again if we go back to Somerset.